Engaging major donors – supporters that will provide significantly-sized financial contributions – is of growing importance to many non-profits. This reflects a global trend towards ‘big better philanthropy’ (a term coined to indicate that philanthropists are making larger donations focused on a few non-profits or causes). It is driven by the emergence of both more results-oriented philanthropists and more ambitious, smarter non-profit leaders seeking to scale solutions to major social challenges. However, engaging major donors is challenging. It relies on finding and then building strong relationships with donors for which there is no one sure way. Also it requires the investment of time and effort up front before results are seen. Whether you are seeking major donors for the first time, or want to understand how to do it smarter, this process will help you focus on the most important elements. This process is not linear. As you move through the steps, you might find yourself looping back to an earlier step. For example, as you build the relationship and learn more about the potential donor (in step 6), you may need to loop back to step 4 to redesign the product that you offer. Clarify your purpose. Ensure that your team is aligned on why your organisation exists, and how it is achieving its impact. Identify your major donor funding target. Set a target and ensure you have the resources to achieve it. Build and prioritise your prospect list. Generate a list through targeted questions and conversations, and then prioritise based on propensity and capacity. Design products that appeal to your donors’ motivations. Be clear on what you are selling, who would buy it and why. 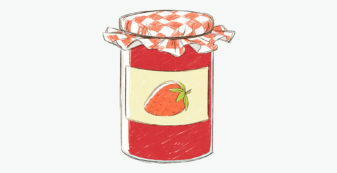 Be creative in designing products that appeal to supporter interests by connecting with your potential donors and listening to what they want. Define the resources required. Identify who will be responsible for executing the plan. Ensure senior leadership are available as necessary. Invest in the systems and processes needed.. Build the relationship – and ask. 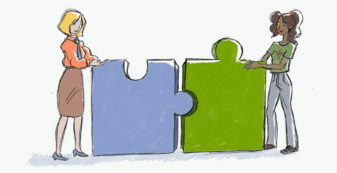 Take time to steward a growing partnership between yourself and the donor: building trust, communicating regularly, connecting head to heart. See any ‘ask’ in the context of that relationship. Misalignment across your team about why someone should support your organisation will quickly stall your donor plan. 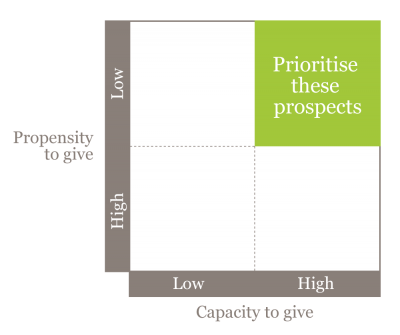 While the importance of being clear about your purpose seems obvious, it is surprisingly common when seeking major donors for organisations and their staff to lack alignment on vision. What is the social issue that you are addressing? Why is this social issue worth addressing? How do you have an impact on it? When clarifying your vision be ‘solution-focused’ rather than just articulating the issue. Most of your likely donors will either have a strong understanding of the issue, or will readily understand it. For example, don’t just explain that there is a growing issue of homelessness amongst young people; articulate how your organisation or program will address this issue. Your overall fundraising target must be driven out of the organisational strategy. Only once you know what your organisation is trying to achieve, and what activities it will take to achieve that, do you know how much money you will need. Out of this overall fundraising target, be clear on how much you need from major donors. (There are many ways to raise funds, major donors is just one of them.) Of course, there will be ongoing iteration between your organisational plans, your fundraising target and your major donor target. You may need to revise your organisational plans based on how much funds you can realistically raise. Note, your major donor target will be constrained by how much you can actually invest in activities to find, engage and steward major donors (see step 5: Define the resources required). At the same time as setting your target, define how you will measure it to know it is working. 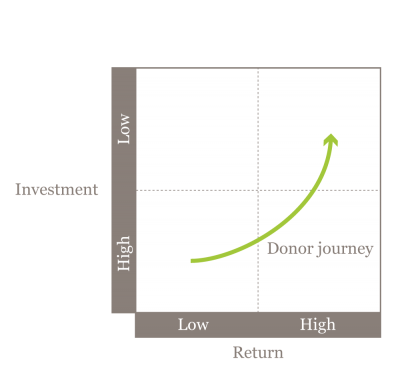 The task of performance evaluation in major donor fundraising is made difficult by the fact that donor cultivation takes time. Setting quantifiable targets to track progress is essential. Building a prospect list is hard – mainly because comprehensive databases providing details on high net-worth individuals and foundations are either expensive to acquire or hard to get hold of. To begin, start with what you already know. Brainstorm amongst the team about what you do, how you do it, and where you do it, and generate the names of individuals or organisations who have similar interests, functions or concerns. You will likely find other questions that can facilitate an exploration of your market. Enhance the list through conversations with people you know, that understand your work and/or the philanthropic scene. Befriending a fundraising consultant, grant-making advisor, or financial advisor can be a great way to identify prospects. Publically available lists such as the membership lists of Philanthropy Australia, the BRW Rich List, or the relatively inexpensive Australian Directory of Philanthropy can also be helpful. It may be more helpful to do this prioritisation based on broader market segments, or specific targets. For example, in deciding what new funding areas to pursue to implement an employment program in WA, one SVA Consulting client prioritised market segments such as “resource sector organisations”, “philanthropists in WA”, “young philanthropists”, and “large employment service providers” without knowing which actual targets within those segments they could or would pursue. Connecting with your prospects may require a cold call using information gleaned from websites or other directories. However, you are more likely to succeed if you connect through your network. Like most people, donors are more likely to listen to people that they already know, and be persuaded by those that they trust. Map your network and consider events or contacts which will help you to connect with your prospects. To broaden your network, consider using an advisory board, governance board, leadership councils, patrons, and other champions; if they don’t exist consider setting something up. Typically, the most helpful individuals will be influential, have a large network of trusted relationships, and a willingness to use their own networks to support your growth. Engaging major donors is no different to any other marketing process: you need to know what your product is, who will buy it, and why. The word “product” refers to what you are selling to a prospective donor and while this is dictated to some extent by your organisation’s work, you have leeway in how you package this for specific donors – the ‘why’ or ‘value proposition’. The key to coming up with a product that will appeal to a donor is to understand their situation and interests through dialogue and really listening to them. What cause and impact they care about? Listen for what impact the donor wants to see in the world. This part is a screening process. If your work does not align with their interests, don’t waste time trying to persuade them that your cause is worth supporting (and be careful that you don’t just listen for what you want to hear!). Finding out what impact the donor wants to have will inform you which of your programs or aspects of your work will interest them. What do they want or need in return for supporting you? What do they value? Again, listen for what their interests are in engaging with your organisation – what they want to achieve through this relationship. This may be visibility or recognition, connection with players in the area, more understanding of the issue, staff engagement, contribution and/or influence on programs. This will allow you to design the ‘why’ or ‘value proposition’ in your product. This is a paradigm shift for many fundraisers; your job is not to persuade those with funds to support you, but to screen for those whose interests align, and then create products that will appeal to them. A standard product involves selling a particular organisational project to a particular donor – e.g. building a new wing at a hospital. Often, donors like to claim this kind of project as their own. Other products introduce a tangible benefit to the funder while attracting funds that can be used at your discretion e.g. an “affinity group”. 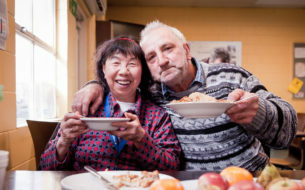 In the philanthropic world many individuals value being part of a supporter’s network to connect with others with similar interests. In 2008, SVA established an Indigenous Leadership Group for those that contributed at least $50k to SVA’s ventures in Indigenous communities. In return, they participated in site visits and planning discussions with SVA leadership, and received issue papers being developed with academics. Some donors will give simply because they care about the organisation’s mission and want to contribute. Whilst this is rare, it is still important to understand what is in it for them, and hence what to offer. For example, do they want access to the CEO or do they want visible recognition? Although it is easy to forget, donors’ motivations differ, and you need to tailor your message to each donor’s interests. Be prepared for long conversations to identify how the donor’s desired impact can align with yours. It took 18 months before the University of Sydney and alumnus John Grill announced his $20million gift to establish the John Grill Centre for Project Leadership. This length of ‘product’ development is common in the world of major donors. Be creative in designing your product by thinking about what you can offer. One Sydney film-based, non-profit offered a program of screenings to a corporate foundation. It received $50k from the foundation and in return held three screenings of a new film exclusively for the company’s staff, including a discussion panel with the producer, writer and actors. This worked because the foundation valued opportunities for staff engagement through its giving. Outline who will do what, and what systems and processes you need. This is your “resourcing plan”. … organisations drastically underestimate the amount of staff time it takes to achieve their target. Recent data on the Australian market suggests that the average cost of fundraising (as a percentage of funds raised) is around 22%. Consistently, organisations’ fundraising efforts fail simply because they do not invest enough. Spreading organisational resources thin across many prospects risks not getting any of them over the line, or when you do, not growing them into long-term, committed supporters that give more over time. A common problem is that organisations drastically underestimate the amount of staff time it takes to achieve their target. You need to ensure that your major donor support team is large enough to handle the workload, and that senior executives have the time to play their part. To do this, actually map out what will be required: to build a prospect list, design products, and develop the relationships in which an ‘ask’ can be made. One critical role for getting your major donor show on the road is the “producer” or custodian of the plan who is responsible for achieving the target. They will have a title such as business development manager, investor relations manager, or major donor fundraising manager. They know what needs to be done, and track the status (and needs) of each prospective and current funding relationship. This role and the donor team cannot act in isolation. Many potential donors need to meet (and hear directly from) the CEO, or a senior executive. This is important as they value a direct relationship with, or want to hear from (or provide feedback to) someone with authority in the organisation. As a result, your plan will need to identify exactly what roles each person will play and the ‘producer’ will bring in the other players (CEO, board members, senior leaders) when required. Also consider what systems and processes are needed. Particularly critical is what system you will use to track donor information. Effective donor management (or client relationship management – CRM) software is relatively inexpensive, and will make your life a lot easier. These typically track information that helps you steward relationships – such as your history of contact with a donor, information on their family and friends, their interests, their education, their faith and politics, and any affiliations or other causes supported. In executing the plan, see engagement with major donors less as a fundraising activity, and more as a relationship-building opportunity and understand that the ‘ask’ is in the context of a relationship. Ensure that you continue to listen to understand the person, and build a relationship of trust. Critically, developing and maintaining relationships with donors is a process that cannot be sped up, so take your time. One of the biggest mistakes is ‘pulling the trigger too early’: because of a sense of urgency. Asking for a donation before the relationship has become sufficiently strong can jeopardise a lot of time and effort, so be patient. Manage the relationship in a way that builds trust and inspires confidence. Once they start investing, honour and acknowledge their contribution frequently, and personally. Identify areas where they can contribute beyond money. Share your success and growth, ensuring donors feel like partners in your journey. Be disciplined and systematic to ensure you do not accidentally neglect a donor. Find ways to connect head to heart. Create opportunities to engage your prospect with organisational activities – such as meeting school students that are participating in the program you run. Ensure that you continue to listen to understand the person, and build a relationship of trust through regular, personal and responsive communication. As you get to know them, you may need to return to step 4 to review the product that you offer. While your dialogue is ongoing, and you may have asked the potential donor many questions, there reaches a point when you do need to make a request for a donation – the ‘ask’. This needs to be done in a way that reflects a true partnership. 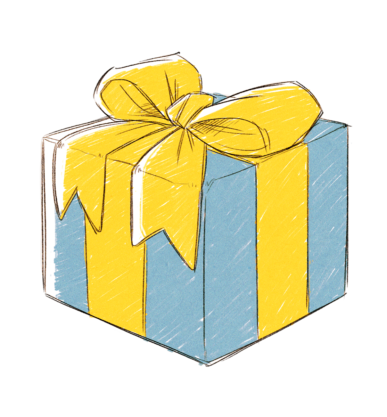 What you ask for (and what you offer in return – the product) will reflect what you have come to know and understand about this (potential) donor. The language around the ‘ask’ is important. Wherever possible, talk about ‘investing’, instead of ‘giving’ or ‘gifts’; talk about ‘capacity building’, rather than ‘program costs’; talk about ‘what we can achieve together’ rather than ‘you contributing to us’. Speak in a way that reflects your belief in the quality and integrity of what you do. Clearly, the ‘ask’ and the potential donor’s response is in the context of the relationship and if managed well will deepen and strengthen that relationship. See the donor’s first donation as a “down payment” on the much larger amounts you can expect over time. 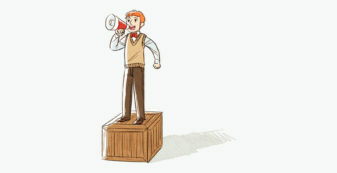 It is almost always easier to elicit repeat donations than to find and nurture new donors. It is ironic (and a major concern! ), that so many non-profits underinvest enormously in stewarding relationships with their existing donors. Your aim will be to transition many of these from high-investment/ low-return, to low investment/high-return. Many prospective donors may not be prepared to give a large sum initially. They may want to ‘test the waters’ first by investing a small amount, and seeing whether they get out of it what they hoped for. Consider how you can get these supporters ‘in the door’, and then steward them over time into major donors. Your aim will be to transition many of these from high-investment/ low-return, to low investment/high-return. For example, Sydney University receives 90% of its funds from major donations from alumni and friends. To grow the supporter base, it invests in an “Annual Fund”, through which around 10,000 individuals contribute $2m. Compared to the $72m that comes from major donors, this is an extremely low ROI. However, the expectation is that many of those 10,000 supporters can be cultivated over time into making major contributions. The primary benefit of this fund is that it screens for individuals who have an existing propensity to support the university – thus effectively identifying potential major donors. Attracting major donors is both art and science and takes a combination of experience and intuition. There is no simple formula that will ensure you achieve the requisite results. However, by following a simple process, you will have the best possible chance of getting the funds that you need. Not all organisations classify major donors in the same way. For an organisation with revenue of $5m, a $50k gift may likely be considered a major gift. However, for a non-profit with $50m revenue, that would be too small to be considered a major gift. For the purposes of this article, a major donor is a supporter that provides a significantly-sized financial contribution, however you define it. See engagement with major donors as more of a relationship-building opportunity than as a fundraising activity. By engaging with and understanding the interests and motivations of potential donors, design ‘products’ that will appeal to them. Adequately resource your plan, and take time to build and actively sustain donor relationships.